A family hunting trip is one of those ideas that sounds wonderful in theory. But then you find yourself wiping melted marshmallow out of your daughter’s hair and wrestling your son into the tent at bedtime, and you question why you ever planned this trip in the first place. Unless, of course, you have a plan. 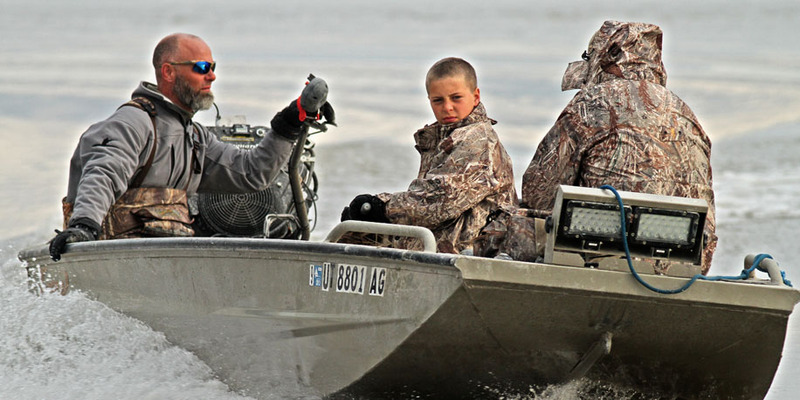 Following these four rules for family hunting trips will keep your kids happy and your sanity intact—there’s even a chance you’ll build some memories along the way. ● Bring lots of extra warm clothes. Kids can find a way to get soaking wet in the middle of a desert—be prepared with a replacement outfit or two. ● Cold hands and cold feet are the formula for a miserable outdoor experience. High quality footwear, gloves, and hand warmers are a must. ● There’s nothing better than a campfire at the end of the day. Make sure you’ve got all the gear you need to have a warm fire—firewood, lighter fluid, matches, kindling, etc. Be sure to check on your campsite’s rules and restrictions to see if you are allowed to have a fire. A propane fire pit is a great option for fire-restricted areas. ● A good night’s sleep starts with a warm sleeping bag. You’ll want to err on the side of being too warm with your sleeping pads and bags. That means bringing a 0° F sleeping bag rather than a 30° F bag when it’s 25° F outside. Cheap sleeping bags that are only meant for summer sleepovers aren’t going to cut it for late season camping when it’s cold outside. ● The forecast might say it’s supposed to be sunny all weekend; but if this hunting trip is anything like your other family outings, it will inevitably cloud over and start raining or snowing. You can’t avoid it, so you’ll need to prepare for it. Ponchos are inexpensive, versatile, and useful—more than worth the few bucks it costs to buy some for your family. ● You don’t want to wait until a storm hits to realize there’s a leak in your tent. Double or triple check that your tent is waterproof before taking off for the weekend. 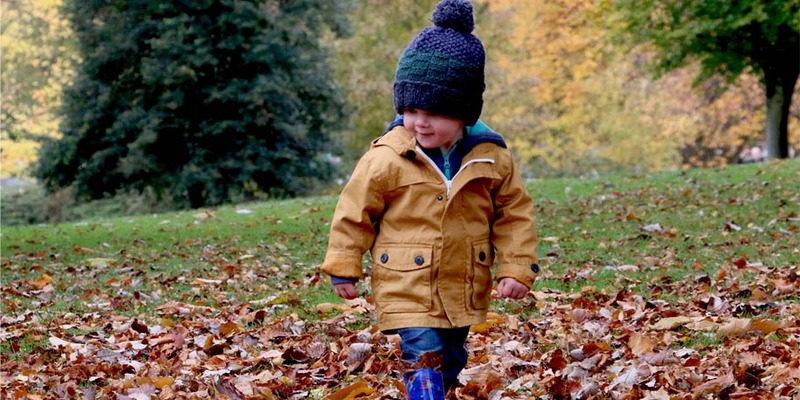 A high quality tent may be a little more expensive than what you can find on the bargain shelf, but you’ll be glad for the investment when your kids are warm and dry during bad weather. ● If you’re tight on space inside the tent, bring a pop-up awning. This is the perfect place to wait out a passing shower without cramming together like sardines—especially with antsy kids on your hands. If you have smaller children who aren’t old enough for their own hunting licenses, you need to make sure to involve them in other parts of the hunting experience. Point out game trails, animal tracks, fresh signs, and different animal noises. You can even ask them to help follow a trail and see where it leads. Just remember: if it is fun for them when they’re young, they will be more interested in coming back to hunt with you in the future. ● Plan activities for the slower hours of the day. Everyone knows hunting is the best early in the morning and late in the evening, so fill those empty afternoons with something else. Bring a BB gun or sling shot for target practice with empty soda cans; take a few fishing rods if there is a pond or river nearby. Even something as simple as a pocket knife and carving stick can create turn into amazing memories. ● Kids have limited energy and limited attention spans. So keep the trip short. Don’t plan a 10-day hunt for your whole family if your kids will get bored after three. Additionally, you’ll want to keep the hunting hours on the short side too. It’s okay to wake up a little later and head back to camp a little earlier if it will keep your kids happy. ● Be prepared to eat tag soup. If filling your tag is your priority, then maybe bring your family along on the next trip. Your focus should be creating a positive experience that your children will remember and want to repeat in the future. A hunter who’s stressed about filling his or her once-in-a-lifetime tag doesn’t make for the best company. Be there for the little moments that make incredible memories—not just the harvest at the end. You don’t have to sacrifice good food just because you are camping. Breakfast cereal and cold cuts aren’t going to hit the spot after a long day in nature. Plan quality meals that will fill your bellies and be fun to cook. 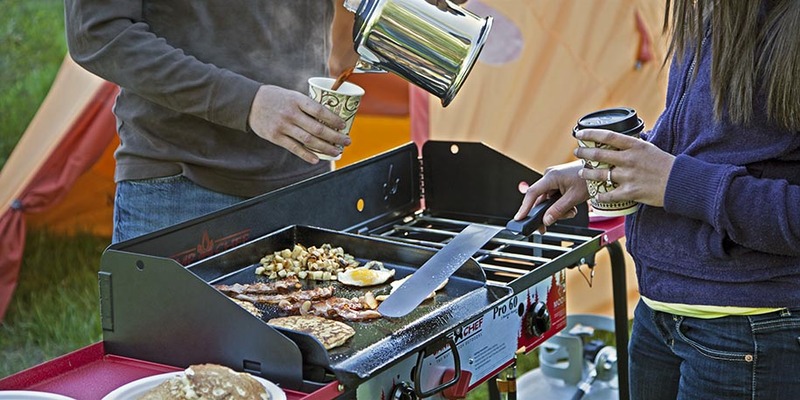 Your camp stove and other outdoor cooking gear will make or break this part of your trip. Whether you need to grill, bake, boil, fry, smoke, or barbecue something in the outdoors, Camp Chef has what you need to eat well around the campfire. Try these recipes with your whole family. ● Breakfast burritos: Breakfast doesn’t get much quicker and easier than this. Tortillas, eggs, sausage, onions, salsa, cheese, hash browns, and a good griddle are all you really need. ● Pancakes, eggs, and bacon are perfect for griddle cooking and a crowd favorite. A hearty breakfast like this before a long day of hunting is just what your family needs. ● Hobo dinners: Build a fire, fill a foil pouch with whatever ingredients you want, and lay near the coals to cook. Try a combination of hamburger, carrots, onions, and potatoes, or add your own unique ingredients. Just make sure to bring some heavy duty gloves and a shovel to get your meal back out of the fire. ● Hotdogs are always great over the fire. You can bring brats for the adults and hotdogs for the kids. As a side, wrap some corn on the cob in foil and throw it in the fire. 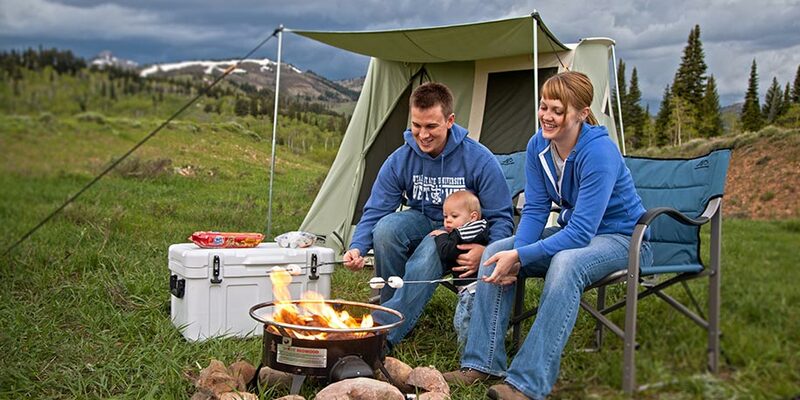 ● S’mores: What family camping trip could be complete without s’mores? Check out some of our unique s’more recipes or stick with the classic. ● Hot chocolate and hot coffee: A warm thermos of hot chocolate or coffee on a cold morning will warm up tiny hands and give you an extra 30 minutes of hunting while you wait for your quarry to appear.